Before we start, I want to make it clear that in the eyes of Google, .com, .net, and .org have the same value. Meaning Google will rank you the same whether you have one of these three endings, known as TLD’s(Top-Level Domain). So if you are hung up on ONLY getting a .com, this may not be the read for you. We are about ranking and making money. When a user scrolls through the google results page of their web search query, they see the green url’s that are higlighted and match the keywords they entered. This helps with the click-thru-rate (CTR), which is the amount of times your listing actually gets clicked when put in front of a searcher. To put it simply, exact match domains are the easiest way to rank for a specific keyword. Although it does not have to be exact for the term. For example, wikihow.com(one of the biggest websites in the world) only has articles about “how to”, so for any “how to” query typed into google, they usually rank in the top 5. What Are We Looking For in a Domain Name? You may have to input a dash(-). One is really okay, and sometimes it looks better in separating the words. As an example, Harley-Davidson.com owns the domain without the dash but prefers to use the one with the dash. Adding an “S” at the end of the domain name. This may make the domain sound better anyway, but adding an “S” is the most simple way to get around not having the specific name you want. For instance, I bought the domain “WebsiteExample.org” to use when demonstrating certain things for this guide. If that name was already taken or too expensive, I could have added an “S” to it, “WebsiteExamples.org”, and it may potentially be available or cheaper than my first choice. You may have to go with a synonym. The best way to see if Google really recognizes a synonym is to type it into Google and see if the URL is still highlighted in the green bold. If it is, Google will give you the same type of boost as if it were the actual word you desired. Check GoDaddy. If the domain you want is available, simply purchase it and add it to your account. Check Sedo. This is the number #1 domain seller in the world. If it is not for sale on here, then it may not be for sale at all. In this case, the owner may already have built the site or it is being held by someone. Go to the domain name. Sometimes there are third (3rd) party companies that will have a contact page of how to get in-touch for a purchase. If not, go to whois.net and type in the domain name. This will give you the owner’s information on file with “ICANN”, a non-profit that determines who is in charge of what domain name. If the owner has set their information to private, there is little you can do but go on to the next domain name that you like. It is easier than you think. To handle the monetary action, you are going to want to use Escrow.com or PayPal (although I recommend Escrow.com over PayPal, as they hold the funds until the website has been transferred to your account at GoDaddy or whichever registrar you would like it to be sent to). After completing the purchase, the buyer will have to buy a “transfer” from GoDaddy (or whichever company you have an account with) and that will begin the process. After the transfer has been purchased, the seller will receive 3 types of codes via email. These codes are used to confirm the transfer. Authorization Code – This code is usually sent in a separate e-mail than the Transaction ID and Security Code. Depending on where the domain is, it should take between 24 hours to 7 days to complete. How to Search for Your Domain Name? How Many Times the Keyword is Being Searched – The Exact number of times a term is typed into Google per month. Cost per Click(CPC) – This is a number that represents how much advertisers are paying for specific keyword. 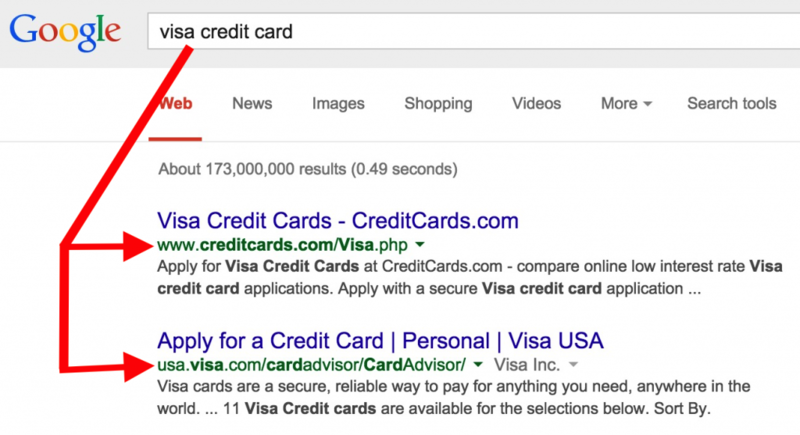 Advertisers pay Google based on a user clicking their ad. It is an auction type of system whereas any person at anytime can outbid someone else to be at the top of Google or displayed on your website (if you choose to have Google Ads known as AdSense). Google Keyword Planner – This is a free tool located within “AdWords”, Google’s advertising division. 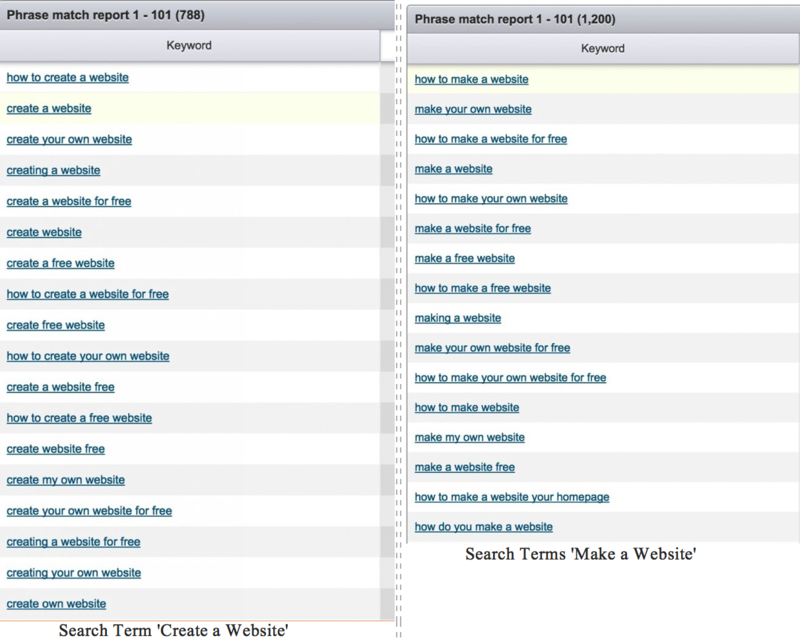 SEMrush.com – Most of the searches are free, but after doing a few, you will be asked to get a subscription. The information on this website is much clearer than Google and I personally have a “Pro” subscription for their monthly rate of $99.95. Is Anyone Advertising? – You may find a great idea to write about that gets searched a lot, but if there are no advertisers, then you may want to rethink your decision. Go to SEMrush.com. You can use the free version to quickly get this information by typing in the term you want to write about. After typing in the search query, click on ‘Ad History‘ on the next page. I used the term “make a website”. As you can see, there are ten (10) advertisers for the phrase “make a website” and over the last year, there has been a healthy stream of advertisers for the keyword. This would be a great sign if you were planning on creating a website based on those keywords. When I decided I wanted to make this website, I didn’t have the domain “makeawebsite.org” at the time. So I went into my typical search of trying to find a name with a budget of $1,000 (If I found something great, I would have paid more but didn’t want the pressure of making this site my full-time job). I began my search with my usual routine as above and typed into SEMrush what people were searching when they were looking for information about building websites on their own. First off, you notice that it is just about a 50/50 split between people typing in create vs make. So whether or not Google thought it was a synonym, I would have to roll with one or the other. You obviously know what happens in the end, but in my search for the domain, there was absolutely nothing available. I tried getting a dash with domains like “create-websites” and everyone wanted a lot of money. I went onto Sedo.com and found this domain for sale. It stated that there was no purchase price, so I had to make an offer. I always offer $100 in this type of scenario, as to not bid against myself. The owner came back with the price of $300, which I was very happy with. I was actually ecstatic, as everyone else wanted upwards of $5,000. I agreed immediately. Sedo.com handled the sale and I transferred it to my GoDaddy account and was later confirmed. I realized how good of a purchase it was when during the course of building the site (8 months later), I was offered $2,000. I gracefully rejected. For more information on “How to Choose a Good Domain”, click here. Copyright @ MakeAWebsite.org. All rights reserved.